UIC has created a pipeline for Asian American and Native American Pacific Islander Student Success (UIC PASS) to recruit, retain, graduate and enhance the college experience of AANAPI students who have been marginalized at UIC. Cross-campus department partnerships exist between UIC’s Asian American Studies program, Asian American Resource and Cultural Center, Counseling Center, and Library. Project PROA (Promotion and Retention Opportunities for Advancement) is to improve and expand the capacity of NMC to increase the number and proportion of high-need Native Chamorro and Carolinian students to be academically prepared to attend NMC and graduate on time. UNLV’s AANAPISI project will provide students with a number of support services to overcome barriers to academic success including academic tutoring, counseling, ongoing academic progress monitoring, and support for undergraduate research opportunities. UMB also received AANAPISI support in 2010 and has since played a leadership role to AANAPISI-centered pedagogy, curriculum development, research, student leadership, and community engagement. The project has two overall goals. The first is to increase college access for underrepresented, low-income and/or first-generation college goers of Asian American ethnic populations. The second goal is to increase Asian American student retention and graduation. Project SEAASE will increase the capacity of EVC to serve the range of needs of Southeast Asian American (SEAA) students by using culturally responsive information and examples into EVC’s recruiting, preparation, and teaching of its SEAA students. The goal of the New Asian American Pacific Islander Generation Initiative (NAAPIGI) is to improve persistence and completion rates to match or exceed the state average for AAPI students and to increase the number of enrolled full-time AAPI students. IVC’s AANAPISI funding will allow the college to better address the needs of its Asian American Native American Pacific Islander students–in particular those who identify as disadvantaged, low-income, first-generation college students and English Second Language students. The college plans to use three approaches, including the Difference Education Intervention, which teaches high-need students how their social class affects their college experience; the English as a Second Language Acceleration and Technology Project; and the establishment of an AANAPI Intercultural Learning Center. Richland College is working to support its API student population by addressing access and success barriers through several objectives, including increasing three-year graduation rate for each AANAPISI student cohort and delivering a four-week summer bridge program to 30 API students per year. Highline College will address the needs of its API students through its AANAPISI project, Asian American/Pacific Islander-Supporting Our Students (AAPI-SOS). The project will work to differentiate issues and strategies for different API populations and provide students more academic preparation. Did you know there are 48 different Asian American Pacific Islander (AAPI) ethnic groups and over 100 different languages? These different AAPI groups vary demographically with language backgrounds, immigration history, culture, and religion. In celebration of Asian/Pacific American Heritage Month, this week we highlight 5 AANAPISIs from the Pacific Islands that are part of the United States. 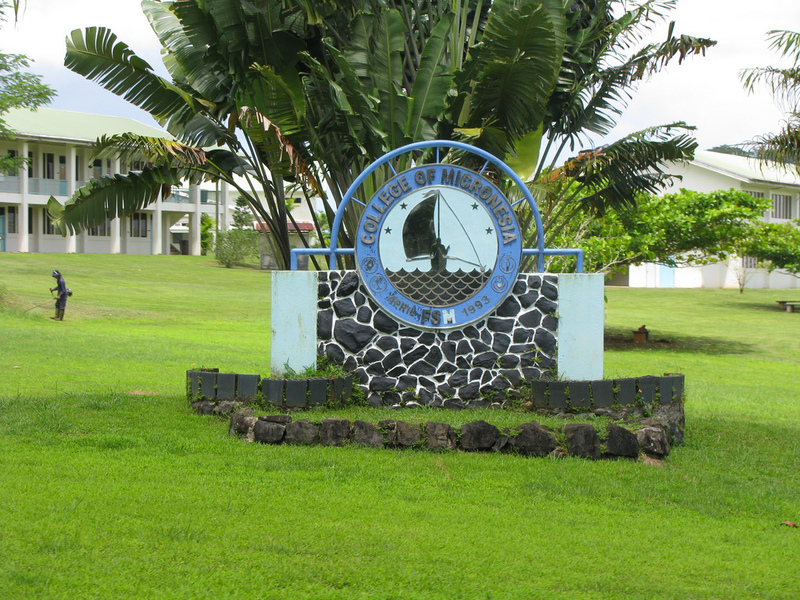 Located in Mapusaga, American Samoa Community College was established in 1970. Their motto is Salil le Atamai (Seek the knowledge to seek knowledge). In spring of 2010, Samoan students made up 83% of the student population. 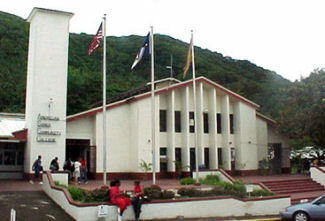 Guam Community College is located in the village of Mangilao. It is the only community college in Guam serving a large number of Micronesian and Asian students. The College of Micronesia – FSM is located in Palikir, Pohnpei. In the fall of 2012, Pohnpeians represented 56.2% of the student population. Kosraeans and Yapese students made up of approximately 12% while Chuukese students represented 18.2% of the student population. 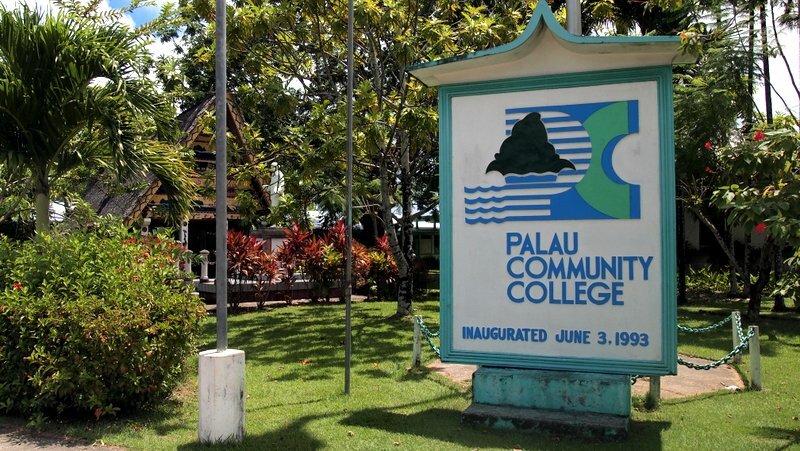 Palau Community College is located in village of Koror in the Republic of Palau. In a 2009 institutional report, Palauans were found to make up 76% of the total student population. 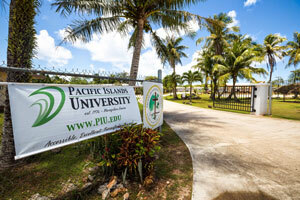 Located in the village of Mangilao, Guam, Pacific Islands University is the only nationally accredited Christian College Bible College and Graduate Level Seminary in the Micronesia Region. In 2010-2011, there was a total of 99 students enrolled. May 6-12 is National Nurses Week! MSIs have played an invaluable role in the education of a number of nursing trailblazers. Today’s Monday Morning MSI Line Up recognizes 8 influential nursing leaders that attended MSIs at some point in their careers. A few have even become Deans at these important institutions! Dr. Ora Strickland is a scientist, educator, author, and trailblazer who is responsible for the creation of institutes, academic programs, books, medical journals, and more. She earned a BSN from North Carolina A&T State University in Greensboro, NC and is the Dean at the College of Nursing and Health Sciences at Florida International University. She is the Founding and Senior Editor of the Journal of Nursing Measurement. Dr. Provencio-Vasquez is the first Hispanic male to earn a PhD in Nursing and the first Hispanic male to assume position of Dean of a School of Nursing in the nation’s history, which he achieved at The University of Texas at El Paso (UTEP). Two years after his appointment, UTEP’s School of Nursing was recognized as the number one school in the country in awarding bachelor’s degrees to Hispanics. Prior to his current position, Provencio-Vasquez served as associate dean at the University of Miami and as director for the Neonatal Nurse Practitioner program at the University of Texas at Houston and the University of Maryland. He is currently the principal investigator at UTEP on a $6 million NIH-funded Center of Excellence that is investigating Hispanic health disparities and educating up-and-coming researchers. After receiving her BS from Hampton University, Dr. Jemmott has gone on to earn an MSN and PhD from University of Pennsylvania. She has earned a place as one of the nation’s foremost researchers in HIV/AIDS prevention, garnering over $100 million in federal funding. She has been honored with the U.S. Congressional Merit Award and is one of the few nurses to be elected to the National Institute of Medicine in 1999. Dr. Betty Smith Williams was a graduate of Howard University and is the first African American nurse hired as faculty in higher education in the state of California in 1956. Since then, her career in research, education, service, and administration has spanned over 50 years. She has served as professor and dean at multiple nursing schools, including Mount Saint Mary’s College, UCLA, University of Colorado Health Sciences Center, and American University of Health Sciences. As a leader, she cofounded and later became president of the National Black Nurses Association (NBNA), which is dedicated to providing black nurses with the impetus to act collectively and to improve general healthcare for African Americans. She also cofounded the Council of Black Nurses Los Angeles as well as the National Coalition of Ethnic Minority Nurse Associations (NCEMNA), through which she created the NCEMNA: Nurse Scientist Stimulation Program, securing a $2.4m NIH/NIGMS/DHHS grant as principal investigator and NCEMNA president. Dr. Carnegie’s professional accomplishments include initiating the baccalaureate program in nursing at Hampton University in Virginia; serving as dean of Florida A&M University School of Nursing in Tallahassee, Florida; and working 35 years on the editorial staff of the American Journal of Nursing and five years as editor of Nursing Research. She is the author of three books: Disadvantaged Students in RN Programs, Historical Perspectives of Nursing Research, and The Path We Tread: Blacks in Nursing, 1854-1994. In addition to holding a professorship at the Betty Irene Moore School of Nursing, Mary Lou de Leon Siantz heads the Center for the Advancement of Multicultural Perspectives on Science (CAMPOS) at the University of California, Davis. This initiative aims to increase the participation of women, and Latinas in particular, in the male-dominated STEM disciplines. Dr. De Leon Siantz recently led the efforts for the school to gain membership to the Hispanic Serving Health Professional Schools (HSHPS) as the first Hispanic Serving Professional School of Nursing in the United States. As the chairman of the Department of Nursing Education at San Antonio College, Dr. Gonzalez led their two-year nursing program to be recognized as having one of the highest minority and male student enrollments as well as the largest number of qualified minority faculty in the country. He has served as the President of the National Association of Hispanic Nurses, the National Advisory Council on Alcohol Abuse and Alcoholism, the National Advisory Council on Nursing Education and Service, and was the first Hispanic to serve on the Board of Directors of the National League for Nursing. Dr. Bette Jacobs is Professor, Health Systems Administration; Distinguished Scholar and co-founder at the O’Neill Institute for National and Global Health Law; and a Fellow and Visiting Professor at Campion Hall University of Oxford. A Native American whose body of work spans community, academic, service, and corporate leadership, she is recognized for contributions in successful start-ups, financial integrity, and interdisciplinary innovations. Serving as Dean of Georgetown University School of Nursing and Health Studies for 11 years, Dr. Jacobs became one of the first American Indians to be appointed dean of a school of nursing. Dr. Jacobs received her Bachelors of Science degree in nursing and Masters of Science in Public Health from California State University at Fresno. In 1985, she was award her PhD from the University of Texas at Austin. Graduation season is upon us, and many MSIs have exciting traditions and ceremonies that come with it. Today’s Monday Morning MSI Line Up features 5 schools that celebrate their alumni and integrate their cultural heritage into the traditions and ceremonies they offer. Class Day is a tradition in which the senior class comes together to reflect on their years at Spelman. Following Class Day, the senior class marches through the Alumnae Arch in the campus oval. Past alumnae guide students through the arch, a symbol of leaving the College and going into greater service. As part of the tradition, alumnae and seniors wear white dresses. UNM’s El Centro de la Raza (formerly Hispanic Student Services) hosts a graduation ceremony specifically for Latino/a students, called Raza Graduation. It is meant to celebrate the cultural heritage of their students. Students have described the ceremonies as replacing the usual solemnity of graduation with warmth, oriented at families as opposed to just the students. Younger students are also invited as a way of enhancing mentorship and providing student role models. On the Hawaiian Islands, leis are a congratulatory gesture, worn by the person being honored. This is an integral part of Hawaiian culture, going back centuries. At University of Hawaii at Mānoa, these are given at graduation and on senior night at all athletic events. During Commencement weekend, the College hosts alumni by class, with many activities planned for those who return. Some events include The Reunion Golf Classic, a National Alumni Association meeting and luncheon, class meetings, parties, and picnics. Stay tuned for next week when we take an in-depth look at the California State University system’s cultural graduation ceremonies!